Online dating sites are booming. An industry that is becoming increasingly commonplace and is constantly changing, online dating has gained social acceptance in many countries around the globe. As the industry matures, new social and technology trends have emerged. These online dating trends will likely continue affecting romance seekers throughout 2015. Tinder, the free online dating app, was a smash success throughout 2014, achieving over 50 million active users to date. However, unlike most online dating sites, the platform is better known as a great resource for hooking-up over finding romantic partnership, so competitors in the field were bound to fill the hole in the app marketplace. Following this trend were some of the biggest online dating sites, which created app-based versions of their system for easier access to other users and the dating sites themselves. Many users of sites such as eHarmony now utilize the site's mobile apps rather than their desktop site. This push towards mobile is understandable: people are able to connect and chat while on the go. Of course, it also means that lengthier messages and perhaps more thoughtful connections may be a little harder to forge. Users who aren't interested in playing the instant messaging or texting game may prefer Match, which is focused more towards an in-person meeting. A side effect of this focus on apps is the "swiping" methodology which is quickly becoming ubiquitous. Users are often able to swipe quickly through users, liking and disliking them at will, which has increased the efficiency of online dating sites and has made it faster than ever for users to find the matches that they truly want. Still, some users do report the feeling of being in a store or shopping for people, which may lead to dissatisfaction for those who do not take their time. Gamification has been appearing everywhere lately -- from learning a new language to getting your daily workout in -- so it's no wonder that it's appeared in the world of online dating. Gamification is a process by which users are encouraged through virtual incentives to increase their activity on a certain platform. And it's not exactly new to online dating; Zoosk introduced the concept in 2012. But it is certainly becoming more prevalent, especially on 100% free dating sites, as a method of testing and increasing the commitment of users. Gamification taps into the natural human need to progress and improve in order to receive some form of reward, even if the reward is not tangible. But what is the consequence of gamification for the dating community? 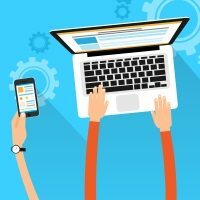 Gamification will undoubtedly lead to more activity per each individual user, as it traditionally increases consumer engagement. This could be a double-edged sword for some: there are some daters who will undoubtedly be drawn into the quest for the "perfect match." But for others (especially those with high or very specific standards), it may broaden the chances for a match. One interesting aspect slowly being adapted to online dating sites is the importing of hobbies and interests directly from Facebook. 64% of online daters believe that shared interests is the most important aspect of a relationship. This may ultimately lead to users who are more interested in the quick interest-based matches of sites like Match rather than the more complicated personality-based scoring of sites like OkCupid. In the old days, most dates were arranged within one's social circles. Dates would come from coworkers, friends-of-friends and those who had shared group hobbies. Then online dating came along and radically shifted the paradigm; through online dating, people started building relationships with people entirely outside of their social network. And now, finally, it's started to come full circle. More dating sites and apps are now focusing on connecting daters with people that have similar friend groups, even if they are a relatively distant match. Most of the websites that do this type of friendship matching are hooked into Facebook, so that they can more accurately determine how connected you are to each person. The ability to select dates from a pool of people who are already close to your social circle will likely be useful to some and ignored by others, but it's another powerful tool in the arsenal of online daters. It's also indicative of the increased social acceptance of online dating as a whole. 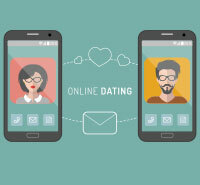 Perhaps the most clear and obvious trend is that online dating will continue to grow. Online dating has already become a very popular method of finding a relationship; some 30% of all relationships today now begin on a website and online dating tends to lead towards marriage much faster than traditional dating. Use these trends to your advantage! Maybe your other-half is a hobby search away? Use the interest search filter on Plenty of Fish and find out!